Eva just wants to be a good disciple of the Righteous Path. She grew up knowing that she and her mother are among the chosen few to be saved from Armageddon. Lately, though, being saved feels awfully treacherous. Ever since they moved to the compound in Colorado, their food supplies have dwindled even while their leader, Ezekial, has stockpiled weapons. The only money comes from the jewelry Eva makes and sells down in Boulder--a purpose she'll serve until she becomes one of Ezekial's wives. But a college student named Trevor and the other "heathens" she meets on her trips beyond the compound are different from what she's been led to believe. Now Eva doesn't know which is more dangerous--the outside world, or Brother Ezekiel's plans. 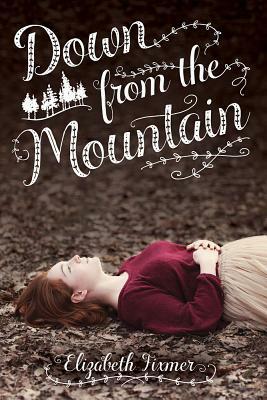 I saw Down from the Mountain on Netgalley and instantly became intrigued because of the religious cult plot. I've only read a handful of these books and was curious as to how Elizabeth would deliver this story. She did a great job. Eva is this young girl, like many others, living in an isolated community led by a lunatic self-proclaimed prophet of God. Now, I've always found it to be mind-boggling as to how people could give up their freedom (because basically that's what they're doing without realizing it) and follow someone who they can't even question out of fear of being physically punished. And what makes them think they're so special than others that they're the only ones going to heaven? Eva is one of these so-called chosen ones who starts having doubts. She begins to question everything about the community and its leader, and I like that even though she's so young, she's the least brainwashed and the only one in the community piecing things together. I really liked the writing and how the author pulled me in and carried me along every step of the way while Eva's having her epitome. She was so taken aback by the kindness of the people on the outside, the same ones her leader had unpleasant words for. And I liked how Trevor's character was so open-minded and helpful. He showed her a different world from the one Ezekiel fabricated, and I think that strengthened Eva more in the decision she made towards the end. Although, that decision was already made but she couldn't carry it out due to the fact that her mother, the woman who brought her child into that mess, was also at the community and in danger. Throughout the story, I learned a lot. Not only about Eva but I could get a sense of who the other community members were and the kind of life they were living. Everything was clear, and I could feel the emotions of each scene. Whenever a character would be humiliated and punished, I sympathized, and whenever someone irked every fiber of my being, I wanted to slap them. This book definitely had my interest, and it held on tightly. The only issue I had was the comparison to Chronicles of Narnia. I feel like that wasn't entirely necessary and I'm not too comfortable with it, but it didn't affect me enough where I was turned off from the story. Overall, great writing accompanied by an engrossing premise. It's evident that the author did her research and I feel like I had a concise idea of what some religious cults are like. I hope to read more by Ms. Fixmer soon. Elizabeth Fixmer probably loves creating and writing stories more than anything else. In her first book, Saint Training, she borrowed parts of her own childhood as well as the historical actions that impacted her emotional and spiritual development. 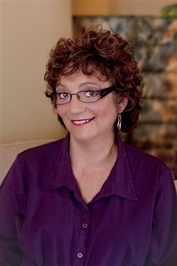 Her second book, Down From The Mountain, reflects her interest and concern regarding religious cults that hurt people. Fixmer worked as a psychotherapist with a few persons who were still in cults, and more who were recovering from negative cult experiences. She is currently working on a book with the working title Mercy. This book is about a seventeen-year-old girl who's pregnant and serving time in prison. Fixmer loves many things involving stories: theater, books, movies, television and takes guilty pleasure in enjoying some reality TV, especially those involving other cultures and religions such as Hutterites, Leaving Amish, and Escaping Alaska. Any food show will catch her attention because she loves eating. She also loves animals, especially her pets Charles and Tenacity. Elizabeth lives in a small town in Southeastern Wisconsin. I haven't read many books with a religious cult, but I have enjoyed the ones that I have read. I saw this, but didn't know that is what it it. Thank you for your review. This sounds like an intense read.